THE MAN WHO LAUGHS (1928). 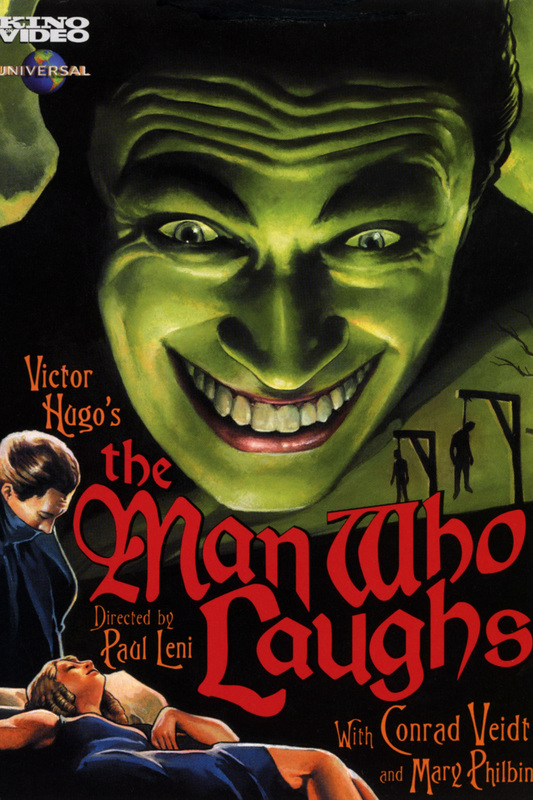 Having had such great success with horror films inspired by literary classics, Universal wanted Carl Laemmle to produce another, and after securing Leni to come over and direct THE CAT AND THE CANARY, they teamed up again to turn to Victor Hugo, the author of THE HUNCHBACK OF NOTRE DAME for more sensational source material. Because of Laemmle’s German heritage, he was able to secure famed Expressionist actor Conrad Veidt to play Gwynplaine, the disfigured, mocked hero reminiscent of Hugo’s Quasimodo in THE MAN WHO LAUGHS. The original intention was to star Lon Chaney but his contract by now was with M-G-M. 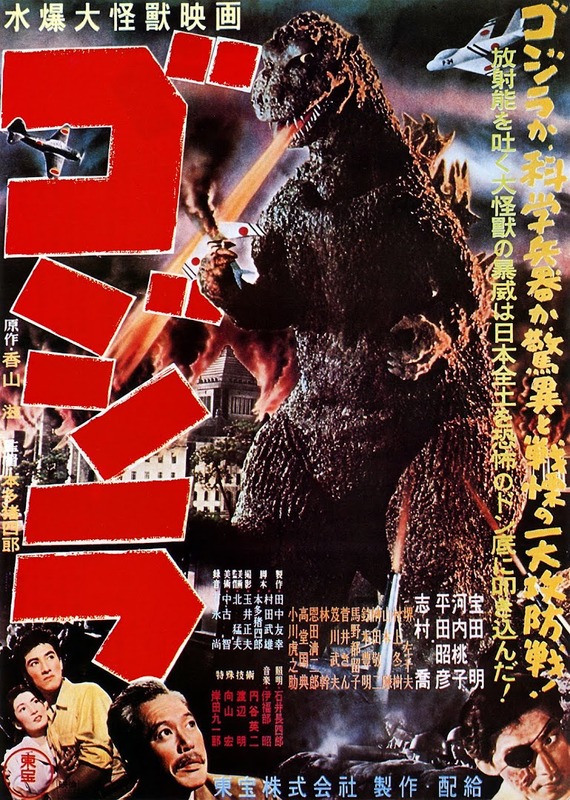 The resulting film is a melodrama yet features enough dark elements to be seen also as a part of horror cinema history. Set in seventeenth-century England, the story begins with Gwynplaine’s father, a nobleman Lord Clancharlie, who falls foul of King James II, thus resulting in being tortured in an iron maiden while his son’s face is grotesquely deformed by royal surgeon Dr Hardquannone into a permanent ghoulish smile. The boy wanders, now father-less through a snowstorm, but upon discovering a blind baby girl Dea, left abandoned, the two are taken in by a mountebank sideshow entertainer, Ursus, played by Cesare Gravina. (He also owns a talented German shepherd, who unfortunately due to being named after the Latin for ‘man’ earns the reproval “Be quiet Homo” upon alerting him to the children). As he grows to adulthood, Gwynplaine becomes a travelling actor of sorts for Ursus in shows that capitalise on audiences’ curiosity about ‘the Laughing Man’: “Hear how they laugh at me – nothing but a clown”. He and Dea (Mary Philbin, Esmeralda in THE HUNCHBACK) have grown to love each other, and without being able to see his face she does not know about his disfigurement. Later, she tells him that she was denied sight so that she would not be distracted from the goodness within him. Veidt is allowed to give a startling yet sympathetic portrayal, those expressive, pained eyes at odds with the etched macabre grin he is forced to wear – like Pagliacci, condemned to spread joy while he is dying of heartache inside. For the part, as Chaney suffered so admirably in his roles, Veidt had to wear a special bracket that stretched his mouth while also displaying ugly teeth into a ‘Love that Joker’ expression that has inspired many film portrayals of a more genuinely twisted evil than his facially-imprisoned innocent. Veidt would later go on to achieve acclaim in America himself after fleeing Nazi Germany, most famously as Major Strasser in CASABLANCA before his untimely death at age 50. The same tragically early fate awaited Paul Leni at just 44 and their other Expressionist alumni, director F.W. Murnau who died aged 43.